The focus will be on students and senior citizens who are underrepresented or have special needs. Students referred through contact with local area organizations. 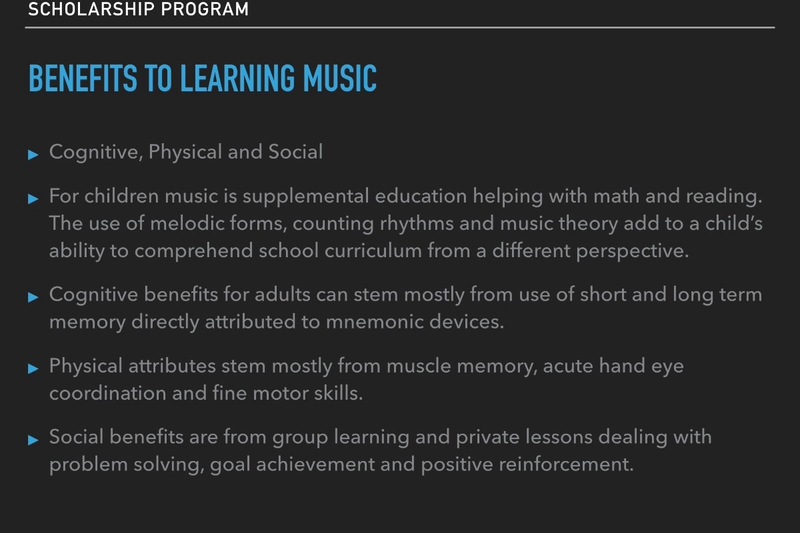 Cognitive, Physical and Social For children music is supplemental education helping with math and reading. The use of melodic forms, counting rhythms and music theory add to a child’s ability to comprehend school curriculum from a different perspective. Cognitive benefits for adults can stem mostly from use of short and long term memory directly attributed to mnemonic devices. Physical attributes stem mostly from muscle memory, acute hand eye coordination and fine motor skills. Social benefits are from group learning and private lessons dealing with problem solving, goal achievement and positive reinforcement. Cost per student is $240 for 12 lessons (3 months). 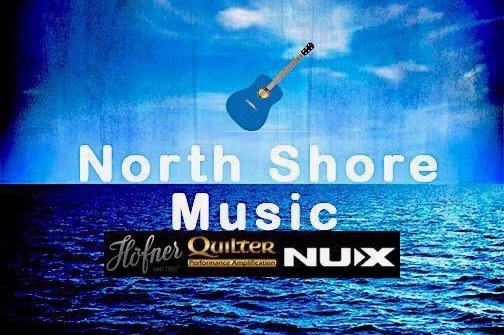 ￼￼North Shore Music offers music lessons on guitar, bass, drums, piano, voice, violin and cello. Our instructors are in demand educated performers and recording professionals specializing in jazz, classical, rock, pop and bluegrass. We work with all students of any age and ability. Our philosophy is to teach each student the reward of self motivation and lifelong musical experience. Washington Elementary students did their first performance this past Thursday. You would be happy to know they were very excited and received a rousing applause from the after school enrichment students. 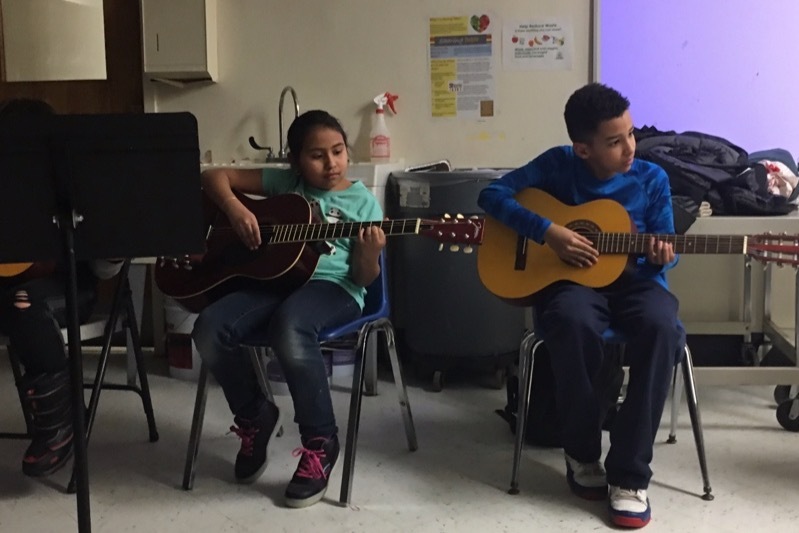 WE were able to provide Ximena (left in pictures) with a guitar and stand. She showed positive enthusiasm and strong work ethic from the beginning, encouraging her fellow classmates to work at learning. She deserved the guitar and her family was beaming when they realized she earned it. 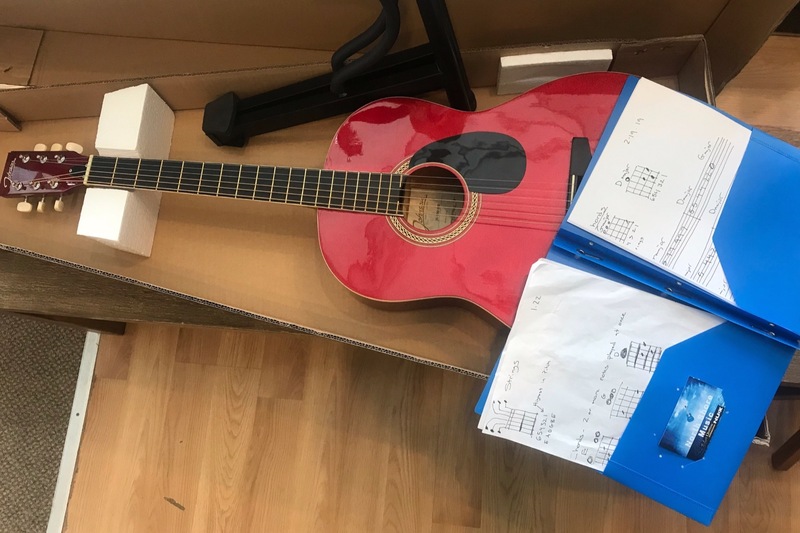 The guitar and stand were donated by a North Shore Music student family. Also pictured is a folder with a copy of each lesson and a pick given to the students. Thank You and please continue to spread the word about our program. Today is a big start for our program. With your help we are going to Washington School and Keshet twice a week. We will be working with 10 students grades 3-5 in Evanston and special needs residents in Highland Park. The goal is to provide biweekly music education and have a group performance of 3 songs after 6 weeks. Your donation has help to get the program started and going. Please share the news and help us grow to reach more people in the area. 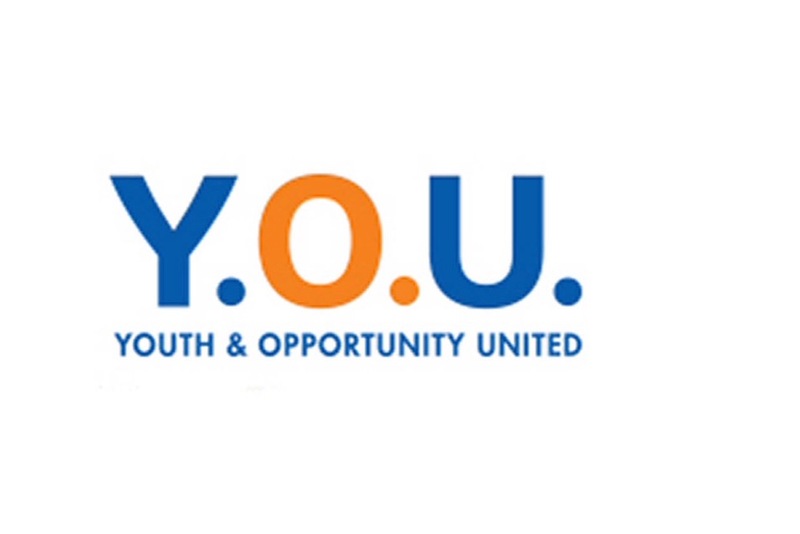 We are pleased to be partnering with Youth and Opportunity United (Y.O.U.) in Evanston to provide after school music lessons to Washington Elementary School grades 3-5. 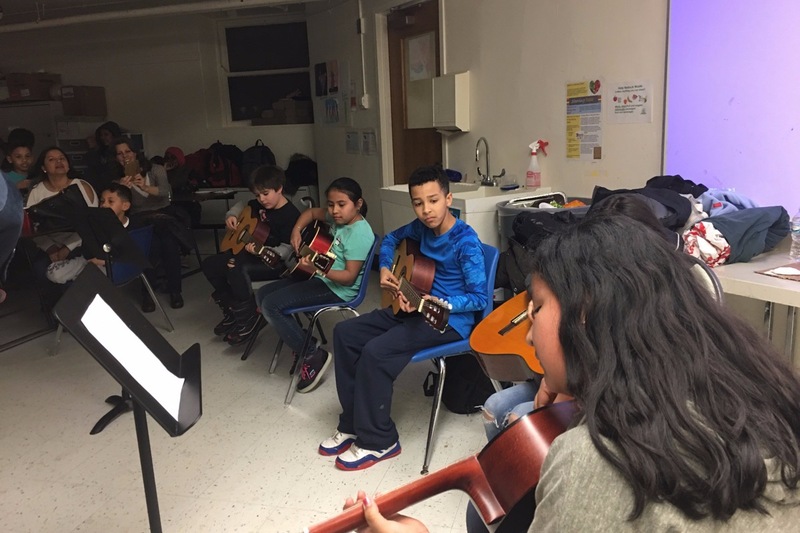 We start in 2019 working with students on guitar, bass and drums. A performance of 3 songs is the goal.